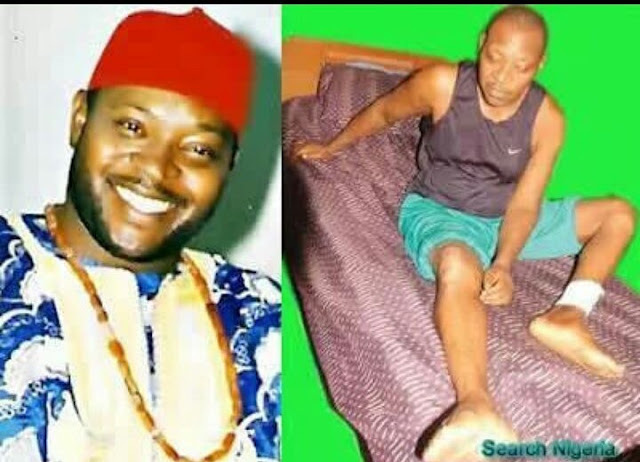 National President of Filmmakers Welfare Organisation of Nigeria (FWON), Mr Sunday Awoji has said that ailing Nollywood actor, Prince James Uche needs N11 million to undergo kidney transplant abroad. He added that another Nollywood actor, Romanus Amunta, popularly known as Natty, was also critically down with paralysis in Enugu State. According to Awoji, it is in its effort to intervene that FWON recently inaugurated its“Save a Soul” intervention campaign geared towards raising funds for the medical care of the ailing actors. . .
“As an NGO within Nollywood that seeks to ensure the wellbeing of filmmakers, especially on health related issues, FWON has decided to intervene. “We decided to cry out to Nigerians of goodwill, and everyone who loves Nollywood to give towards saving these precious souls.” He explained that movie producers, actors, fans, other Nigerians of goodwill had donated towards the intervention funds, but the required amount was yet to be realised. “So far, we have only got less than a million naira, and we had to quickly send delegates to Lagos and Enugu to take care of their immediate medical needs. “We are still hoping and calling on everyone to contribute towards this rescue mission,’’ he pleaded. According to him, FWON is planning other options possible, including visiting corporate bodies, Area councils and Humanitarian organisations to expediently raise the required funds. “Only Nollywood cannot do it; we therefore need the help of everyone as quickly as possible to save our brothers.”"